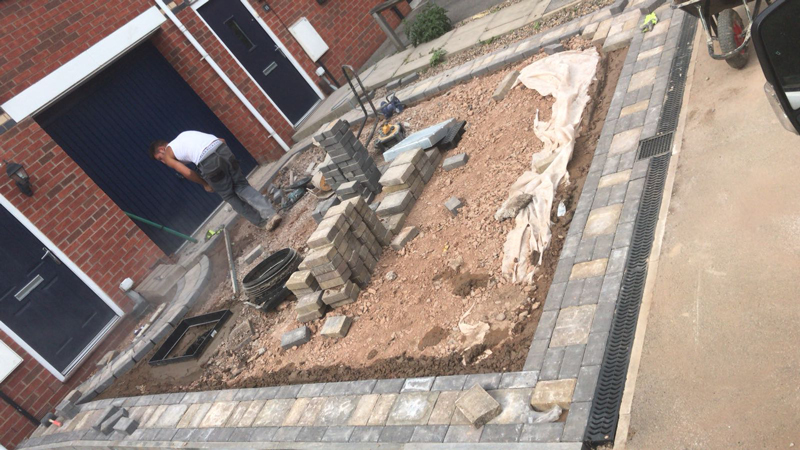 Mr Smith from Derby had a tired old concrete drive that he wanted replaced with a new cobblestone border and tarmac driveway. 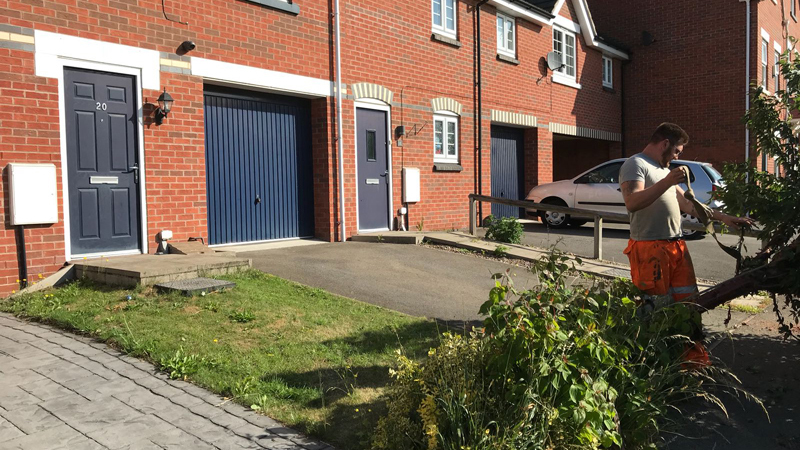 The project involved the removal of large amounts of concrete and inert material and to dig out any existing soil and rubble to a suitable sub base depth. Once excavated a suitable permeable membrane was laid. This was to prevent any weeds penetrating the driveway, and preventing any movement of the sub-base into the soil. 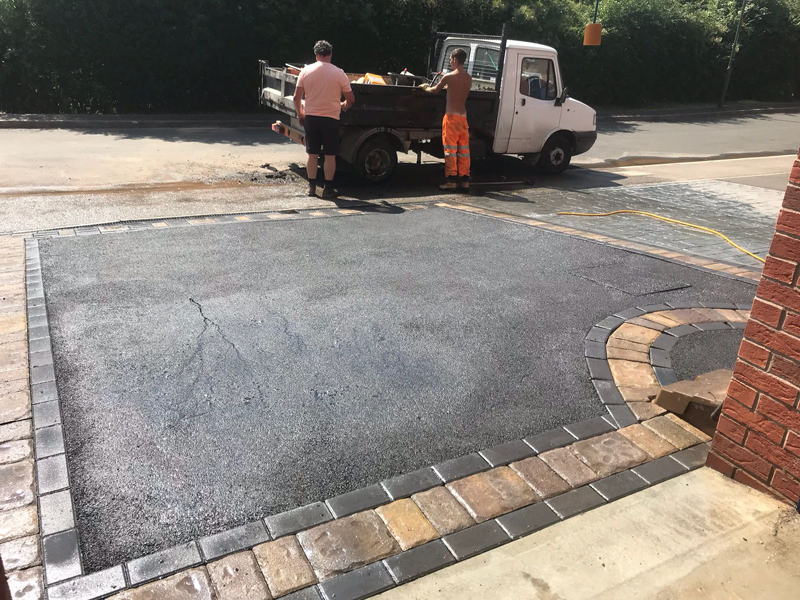 The next job was to install the traditional charcoal and sandstone edge blocks, acting as a retainer for the main driveway cobblestone pavers. 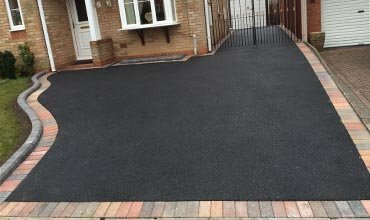 The beautiful cobblestones were laid in stretcher bond format to create this superb finish.